High Soil pH? Bin the test kit and don’t panic! 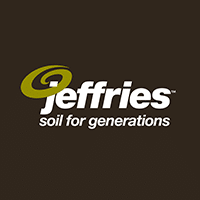 Phil Barnet from ProAg is a very clever Adelaide based soil professional that Jeffries calls upon when we need to know even more about soil! I regularly hear from stressed gardeners and landscapers who have tested soil themselves and found pH levels so high that they are above the ranges recommended for the plants they intend to grow. Because pH is the one soil factor gardeners and landscapers are able to test themselves with a purchased pH kit*, it can become the central focus for their soil management and they invariably want to take extreme action to correct it. The acidity or alkalinity of a soil can have an impact on the uptake of nutrients into plants as some of them get rapidly bound up in unavailable compounds at both high and low pH. Acidic soils are relatively easy to deal with by applying the right amounts of ag-lime or dolomite which are also beneficial for supplying deficient soil calcium and magnesium. However correcting alkaline soils is much more difficult. I do not recommend adding high rates of elemental sulphur or aluminium sulphate simply to lower pH as it is rarely economical and because high sulphur can affect the plant uptake of other elements like selenium. Soils are complex, living systems where balance is important and too much of any element will always have an effect on the availability of others. The answer is to treat the soil as a whole system and not concentrate on just one aspect of it. 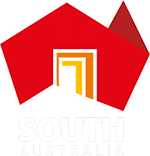 Adelaide and South Australia in general have many areas with alkaline to strongly alkaline soils, however there are gardens and crops thriving in all these conditions. Commercially blended organic loam soils often have elevated pH when they are freshly made but in most cases the alkalinity will decrease over time. This tends to occur after they have been watered or irrigated for a while and have started to develop into living soils. Recent testing I have conducted shows that our iconic Adelaide Botanic Gardens has soils ranging from pH7.1 to pH 8.31 – all moderately to strongly alkaline yet it is our state’s premier garden. Many references and textbooks (and some TV garden shows) are written and produced for acidic soils in other states and often by people with limited understanding of our alkaline soils. Be careful when following general recommendations from these sources. pH is only one of 24 different soil factors that can be measured or calculated with a comprehensive horticultural soil test so it makes no sense to make significant changes to soil management to address one factor, without knowing the whole picture. The National Rose Trial Garden was established in 1996 to test and rank new roses submitted by breeders from Australia and overseas. It was originally planted in a dedicated area of the Botanic Gardens with space for wide rotations, however in recent years has moved to a more restricted space which needed to be continuously planted. As a result the trial management decided to remove soil from the beds every three years and replace it with fresh manufactured organic sandy loam. I became involved in 2013 after the imported soil was tested and found to have pH 8.0 or higher. An eastern state rose expert strongly advised that roses would not thrive in soils with pH greater than 7.5 so there was concern about the future of the trial. With the trial committee we embarked on a program of comprehensive testing, balanced nutrition, building organic matter and stimulating soil microbiological activity. After nearly two years the pH is still above the upper limit recommended for roses but the trial plants are thriving and this year there is a 100% establishment rate. Committee members consider that the current crop of first and second year roses just beginning to bloom, are the best they have had since the trial began. Don’t be discouraged by published pH ranges as there are many plants worth trying. However be realistic as there are some acid lovers that you won’t be able to grow in your alkaline soil – avoid planting rhododendrons and blueberries. Throw away the pH kit and conduct a full horticultural analysis on your soil. Full tests are available locally at Apal Laboratory or Microbiology Laboratories Australia and cost about $200/sample for a report that includes interpretation of results and recommendations. If fertilisers are needed, always use the more acidic products like Sulphate of Ammonia for nitrogen and MAP (mono-ammonium phosphate) for phosphorus. This will keep nutrients available for plant uptake. Build soil organic matter. This is a critical strategy for alkaline soils, because the organic materials can hold nutrients in a form that remains available to plants and protects them from being “locked up” into unavailable compounds. Increase organic matter by incorporating well made compost, using organic based fertilisers and by growing and turning in green manure crops. The breakdown of organic matter can also slowly reduce pH over time. Spray on regular foliar fertiliser. Feeding plants through the leaves will by-pass soil uptake problems caused by high pH and supply most of the trace element requirements and top up the major elements. If you see leaf symptoms of deficiency have leaf samples analysed to determine what is missing. Any identified deficiency can be addressed by foliar fertilisers or through soil application of chelated (protected) trace elements. Classic leaf symptoms seen in alkaline soils are general yellowing and inter-veinal chlorosis (yellowing between green veins). The first step in creating healthy, balanced, biologically active and productive soils is to understand exactly what amendments are needed. This can only be achieved by thoroughly testing them – measurement must come first for successful management. Contact Pro Ag Soil Management anytime to discuss your alkaline soil or any other soil issues. NextWhat happens to food waste in landfill?